$15 when added to hair service. Beauty + Sustainability Haircare — Aiming to be the most beautiful and ethical company in the world. Formulas are paraben & sulfate free! Zero Impact Products, compensating for the full CO2 Impact of production! Natural Active Ingredients grown in Italy by the Slow Food Presidia contributing to keeping alive Vegetable species at risk of extinction. Cezanne Perfect finish is a Keratin smoothing treatment for smoother, straighter and frizz free hair. Unique Formula, Formaldehyde Free! Restores natural shine, hair is healthier and more manageable. Learn more at www.cezannehair.com. KEVIN MURPHY: kevinmurphy.com.au Born from the same philosophy as skin care, KEVIN.MURPHY products are weightlessly designed to deliver PERFORMANCE, STRENGTH and LONGEVITY. When searching the world for their ingredients, KEVIN.MURPHY looked for companies that use micro cultivation, organic growing practices or ecologically sound wild harvesting techniques to ensure the KEVIN.MURPHY range is of the very highest natural quality. All KEVIN.MURPHY hair products are sulphate free, paraben free and cruelty free. 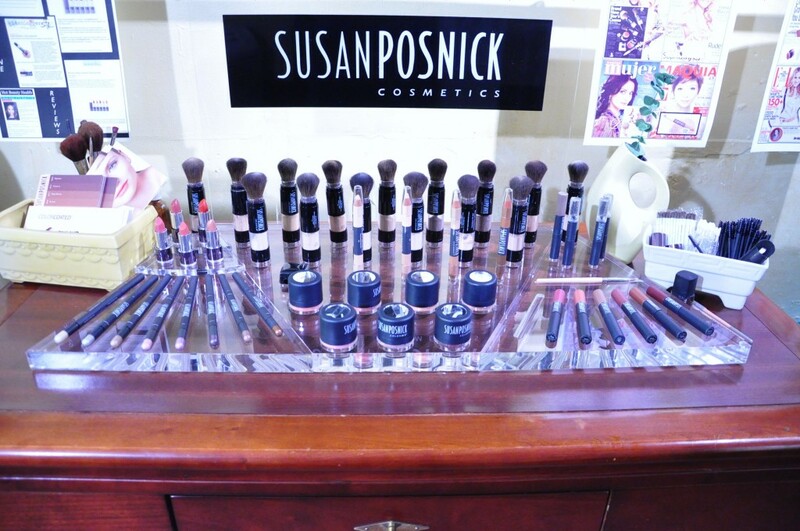 Susan Posnick offers a blendable mineral make-up line specifically designed for quick and easy flawless application. With only nine all natural ingredients, COLORFLO provides powerful and completely natural sun protection. COLORFLO will not clog pores or irritate sensitive skin. Learn more about Susan Posnick here.